Singapore – 3/26/2014 – Planet Arkadia today announced the offering of Arkadia Underground Deeds, which will make up the world’s first $1,000,000 virtual property. Arkadia Underground gives all players a unique opportunity to participate in land investment within Entropia Universe allowing players to share in the revenues of Arkadia Underground and receive dividends on a daily basis. This innovative new offering by Planet Arkadia enables players to participate in up to 200,000 deeds that have been priced at only 50 PED (or $5.00) per deed in direct response to player demand for more opportunities to invest at a lower entry price. The Real Cash Economy has been developed over a 10 year period providing a solid foundation for the virtual economy as all in-game currency ‘PEDs’ are transferable to US$ at a fixed rate of 10 PED for each dollar, unchanged for over 10 years. Importantly, participants are able to withdraw their earnings back to their real life bank accounts at any time. Planet Arkadia is an ever growing planetary economy within Entropia Universe. Players can expect state of the art graphics to provide them a virtual world where hunting, mining and crafting can combine in a vibrant real cash economy. “Players all across the universe have so far welcomed exploring the amazing visual effects inside the underground caverns. 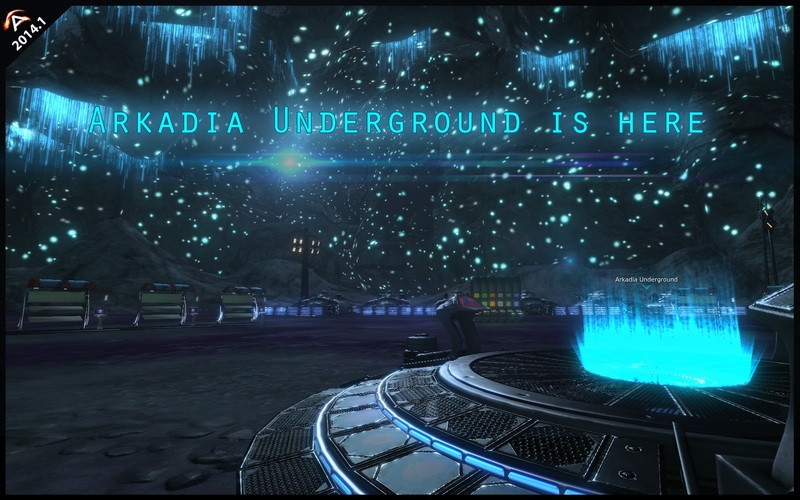 Arkadians are passionate about their resident planet and this innovative Arkadia Underground has added a new dimension to their playing experience” added David Dobson. Entropia Universe is the world’s largest Massively Multiplayer Online Real Cash Economy (MMORCE) game. Players have no monthly fees, but deposit and withdraw real funds to enjoy their adventures on any planet in the Entropia Universe. To download the free game please visit www.planetarkadia.com. For more information on Entropia Universe please contact us at the email below or go to our website at http://www.entropiauniverse.com. Where is the Underground deed broker? How do I get to the underground? You can travel to the underground using any Teleporter on Arkadia. On the top of the teleport map is a dropdown list showing your current location. Click on the dropdown list and select Arkadia Underground from the list and then select the underground Teleporter. How do I buy Deeds from the broker? In order to buy the Arkadia underground deeds you have to transfer the PEDs out of your PED card into your inventory before interacting with the broker. When buying the deed from the broker a new window will open where the PED can be placed in to complete the transaction. I clicked the broker and he has no deeds available, what do I do now? The broker is being constantly resupplied with deeds in order to ensure a fair opportunity for multiple players to acquire a deed. How do I deposit funds to my account? Aakas instances have been reopened. Aakas instances will be disabled later today due to an issue with invisible mobs (Magurg male / Yarrijak). Please do not attempt to run any Aakas instances until further notice. 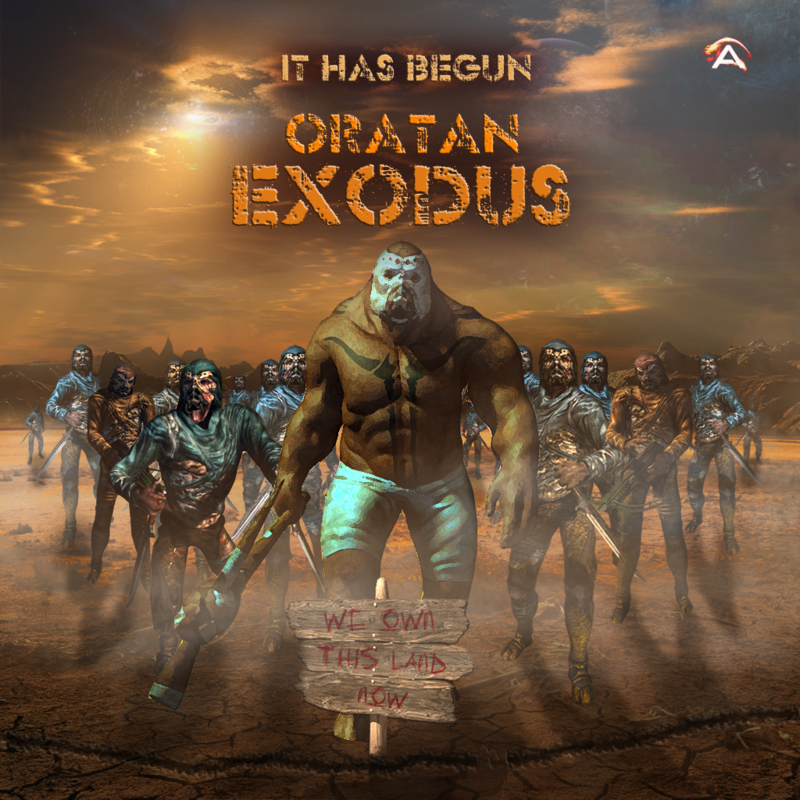 Oratan Exodus – It Has Begun! As the sun slowly made its way up from the distant horizon, Sergeant Jong watched as the last members of the training squad finished up their exercise in desert operations. “Cheers Sarg, that means a lot coming from you,” replied Rees “I’m glad too coz I could really use a break to be honest…And some time with that nice little Intern over at the Museum in CH” he grinned. “Yeah, well don’t get too comfortable, and don’t plan anything too cosy. I’ve gone and recommended you for the next Senior NCO course starting next rotation.” Jong said with a mischievous smile. “Oh, what did you go and do that for Sarg? I was happy being a knuckle dragger!” Rees complained half-heartedly. Jong was about to respond further when a momentary flash across the other side of the plain caught his eye. “Trouble…And a lot of it” he growled. Handing the binoculars to Rees, he reached for his communicator, “India Station, this is Big Dog Zero Six. Do you read?” Jong spoke into the microphone. “Big Dog Zero Six, this is India Station. Go ahead.” the duty officer replied. IFN HQ have been receiving reports of large groups of Oratan moving across Sentosa. Numbers such as these have not been seen in many months and Intelligence is yet to figure out how they keep bolstering their numbers so easily. At this time, we are unable to identify the intentions of the Oratan or what may have caused them to start relocating their forces in such numbers. Commodore Harvir has ordered all IFN ground forces mobilised and Captain Chiharo is currently overseeing the reinforcement of all regional Firebases. The ACA is issuing a request to all willing and able colonists to make themselves available for civilian militia duties during these trying times and to act as a further bolster to the IFN forces. Colonists from all skill levels will find themselves useful in a number of roles and areas. If you are willing to help, the ACA are willing to accommodate you. Hold fast against this show of strength by the Oratan hordes. We will not be intimidated by these wretched souls! This year, as we celebrate the monumental milestone of Entropia Universe’s tenth anniversary, Arkadia Studios presents “Planet Arkadia Triathlon 2013″, the first of many TEN events proudly sponsored by MindArk. The unique four-day “Triathlon” format will make this the first official event of its kind in the history of Entropia Universe. The event is simple. Global in each of the three primary professions (hunting, mining and crafting) to score a point. Most points wins, and there are ten places with huge prizes! Did we include some random prizes? Of course! Every point you earn is an entry in the draw, unless you win one of the top ten prizes! Event goes for four days, starting 31st Jan 2013 (00:00:01 MA Time) and ending on 3rd Feb 2013 (23:59:59 MA time). What better way to celebrate the historical TEN year anniversary than by combining the three fundamental professions that have helped Entropia become the amazing Universe it is today? Get yourself ready and let the games begin! Each set of 1 hunting, 1 mining and 1 crafting global entitles you to 1 point. Cyrus gets 10 hunting, 20 mining and 30 crafting globals during the event period. Cyrus gets 10 points. Globals must occur on Planet Arkadia, but not necessary for Arkadia items (for crafters). The player with the most points wins first prize. Second highest total wins second prize, and so on. This event is open to individuals only, and results will be determined via a report from MindArk. Teams are not eligible for participation in this event. Any team results will be ignored in determining the winners. An individual may only win one prize. Top ten prizes will be determined first, then all ten winners’ data will be removed from the report. 5 random prizes will then be determined from the remaining data. In other words, anyone who wins a top ten prize does not qualify for a random prize. Random prizes will be drawn using a random number generator. The final decision for prizes will be made by Arkadia Studios, and will be announced as soon as possible after the event ends. It will take some time, however, for MindArk to generate a report and for Arkadia Studios to determine the winners. In the event that there is a tie for any of the prizes, the first player to have reached the prizewinning number of points receives the prize, the second player to have reached the prizewinning number of points receives the next prize, and so on. If such a tie forces a player out of the top ten, no prize will be awarded, however their points will be deemed as valid entries for the random prize draw. An eligible “global” is any hunting, mining or crafting loot on Planet Arkadia registering a value higher than 50 PED, including HOF (Hall of Fame) and ATH (All Time High). In other words, a loot of over 50 ped TT value in any of the three main professions. Instance loot does not count. Prizes will be available by direct trade with the avatar “Cyrus Arkadia Community Manager”. Any prizes not collected within 28 days of being advised they are available, risk having Arkadia Studios forfeit the prize. Event starts 31st Jan 2013 (00:00:01 MA Time) and ends on 3rd Feb 2013 (23:59:59 MA time). Event has now ended! Thanks for your participation. We will announce the results this week. Interested in Smuggler weapons and FAPs? Got the Riptor IFN Challenge open? Eric the IFN Christmas Elf is giving away more than just Christmas Presents this year. He’s also got some serious prizes for Riptor hunting! To be in the running, Eric the IFN Christmas Elf wants you to global by hunting Riptors. There’s no need to track your progress. Eric knows when you are sleeping, when you’re awake, and whether you’ve been bad or good. To Eric, globalling on Riptors is good, and that’s all you have to do! Any particular colonist can only win one prize. This means the Riptor Rampage will have 39 winners! 12 of these, the random prizes, will be to people who simply got an entry by achieving a global! Each Neurobiotic Booster A5 10mg consumable item increases skill gains in all professions by 50% after being consumed, and lasts for 10 hours of logged-in time. The timer is paused while the avatar who has consumed the booster item is logged out of Entropia Universe. Unconsumed booster items are non-tradeable. An individual may only win one prize. However, an individual can compete in as many BLOCKS and CATEGORIES as he or she wishes. Random prizes will be drawn using a random number generator in the order that they appear in the above list. As stated, as each winner is drawn, they will be ineligible for further prizes in the competition. The final decision for prizes will be made by Arkadia Studios, and will be announced as soon as possible after the competition ends. It will take some time, however, for MindArk to generate a report and for Arkadia Studios to determine the winners. In the event that there is a tie for any of the prizes, the first player to have reached the winning status receives the prize. If there is a second place in that category, it will go to the person who reached the winning status second, and so on. An eligible “global” is any loot from a Riptor registering a value higher than 50 PED, including HoF (Hall of Fame) and ATH (All Time High). In other words, a Riptor loot of over 50 PED TT value. CATEGORY A prizes will be calculated by looking at the total number of times an individual records a global loot, NOT by looking at the total value of these loots. CATEGORY B prizes will be calculated purely by finding the highest individual global in each BLOCK, and awarding the prize to the avatar that achieved it. CATEGORY C prizes will be drawn using a random number generator, where each global is an entry into the draw. The more globals you get, the more entries you have. Depending on the prize, it will be available either by direct trade with the avatar “Cyrus Arkadia Community Manager”, or by Arkadia Studios having MindArk spawn the item directly to your avatar. In cases where the winner needs to choose between a RAW or SIR model prize, the winner simply needs to let Arkadia Studios (via Cyrus, for example) know which one he or she would prefer, and we will have MindArk spawn your chosen item directly to your avatar. The event begins at 00:00:01 MA/UTC on Friday the 21st of December 2012, and ends 24 days later at 23:59:59 MA/UTC on Sunday the 13th January 2013. Eligible globals are those that occur between these start and end dates. Eric the IFN Christmas Elf wishes all contestants good luck and a Merry Christmas! Congratulations Gold Rush Warrior, Prospector and Industrialist 2012! Dear participants of the Gold Rush Warrior, Prospector and Industrialist 2012, thank you for supporting this event for the past two months. We had a total of 39,481 entries (individual global events) for these Gold Rush events and only 3 will emerge victorious, each winning an Alienware X51 Desktop. Chris has set up a random generator to pick the event winners to ensure that it’s fair for all participants (as long as they abide by the rules of the event). For those who didn’t manage to win this time round, I hope you’ve enjoyed the events at a minimum. Do look forward to our future events and of course, the Gold Rush 2013. Your participation and continued support of Planet Arkadia is very much appreciated. a) Selecting a winner randomly from all page “Likes” is, contrary to the findings of our preliminary research, a breach of Facebook Terms and Conditions. When choosing a winner, that winner must be chosen from a specific competition entry. b) An admin of a Facebook page is only able to create a list of a maximum of 500 of its fans at once. This has led to the decision to use a third-party app called Wildfire, which will select a winner at random, from those who enter the promotion specifically. We apologise for any inconvenience this may cause, and are making every effort to ensure that those who have already “Liked” the page as a result of the Gold Rush Socialite 2012 competition, find out about the change. This will include making a post at our Facebook page. To give everyone a chance to enter correctly, the competition is now being extended until 23:59 CEST on the Tuesday the 9th of October 2012. Instructions for entry are at the bottom of this post. In addition, the opening post of the Gold Rush Socialite 2012 thread has been updated to reflect the new rules. If you have any concerns about this change, you are encouraged to email Arkadia Studios at community@arkadiastudios.com. 1. Go to www.facebook.com/planetarkadia and “Like” the page. 2. Go to the competition page here, click “Enter Sweepstakes” and follow the prompts to completion by 23:59 CEST on Tuesday the 9th October 2012. Fill in and confirm your email address + Tick the check box to confirm you are 13 years and above. Click “Submit”. You’re done! Decide to publish it to your wall, share with your friends or skip. Let the Arkoin Auction begin! Outbid your competitors and you could be trading Arkoins for a variety of virtual and real life items! For full details, visit the thread here!